How your business is perceived on the outside world can determine your success. Make a dedicated effort to put customers first, deal fairly with staff and suppliers and adopt an honest style of business and you can build a brand for your business that you can be proud of. However, there are a few key things to remember when building a profile for your business whether it’s a one-person Start-Up or a long-established small business. Here’s are some of our brand-building recommendations to help your business make its mark. Have you ever had to reach out to a company to query something only to be met with a wall of silence? It’s not a good feeling if you have a genuine concern and can’t get a satisfactory response. Communication with existing clients, new customers and complaints should be a priority, especially in the age of social media where small mistakes can go viral in minutes. Letting people know you can listen to them shows that you care about your reputation and it’s not all about making a fast buck. Let technology do the work for you. If you drive, ensure you have a Bluetooth device set up in your car so you can take calls regularly. Dictate using your smartphone to make notes, to-do lists and respond to emails on the fly (but of course not while driving!). If you have other people working for you, encourage them to use their name when they are dealing with customer queries. This sets the tone, and allows the customer to put a name to the person reaching out them rather than a generic info@ email address. When dealing with queries or feedback, always take the bad with the good. Nobody likes to hear negative comments, but buyer feedback can always teach you something new. When dealing with a frustrated customer, take their issue seriously, deal with their problem in a timely fashion and do your best to turn the problem around and make it up to them with a small gift or freebie. Finally, take steps to ensure the problem is not repeated. Now, what was once a dissatisfied customer is a customer for life. What are your business claims? Are you really Ireland’s leading baker, the only artisan food provider in the area, or the first of your kind? We can lose the run of ourselves when the marketing side kicks in and you feel the need to 'big up' your business idea. Take a step back and look at what you can deliver or do in the most honest way possible. The buying public are very good at separating the wheat from the chaff when it comes to purchasing power. Rule of thumb: always under-promise, over-deliver. A business who is able to deliver on their promises always goes down better than one who has the shiniest website, best marketing materials and rubbish product/service. Decide what you can do and what your business is about and own that identity – if that means you produce a good product in a slightly longer time, so be it! When business is good, it can be easy to forget the need to keep building on your reputation. This is exactly when you should be reaching out to those who have helped make you a success. Ask clients for testimonials and add to your website and social media pages. Genuine reviews resonate with others and are likely to entice new customers your way. Create uniformity in your approach when dealing with customers – the small spender is as deserving of your attention as the bigger clients. Make every one of your customers feel like they are special in your eyes with purchase power deserving of respect. A kind word and a smile can go a long way towards building your reputation. There will be days where you feel like you don’t have a free minute and those are the times you will get the awkward request or unfamiliar query. Refuse to crumble under the pressure, put a smile on your face, and remember that this person is supporting your business. If you don’t know the answer to their question, take their details and tell them you will find out and get back to them. If you are busy when a client calls, arrange a time when you will have more time and you can talk to them freely. Great customer service is built over years, so do your best to maintain a daily professional standard in the way you deal with the public. Negativity can’t be avoided no matter how good you are with your business. There will always be someone you simply can’t satisfy, and that dissatisfaction may culminate in an unwanted review or nasty social media post. The important thing is to focus on the numerous positive comments and resist lashing out if you feel you have been unfairly criticised. If someone makes a complaint about your business online, stay calm and make a reasonable assessment of the situation. The worst thing that you can do in this instance is to find yourself involved in a petty dispute with the perpetrator. Stay professional and make an effort to acknowledge and remedy the situation if the fault lies on your behalf. Remember that there will be other eyes watching and that in any argument; the most reasonable-appearing person always comes out on top. If the comments seem unreasonable, don’t engage with them. There are ways and means of having such remarks removed from social media platforms via moderators. The buying public are wise to such trolls and their activities, and can quickly see through any false negativity. Stay strong and don’t sweat the small stuff. Brand building is hugely important but so too is taking a moment out to say thanks to those who have supported you in business. This could be friends, suppliers, that first client or even the local coffee shop that let you sit for hours with your laptop in the early days as you set yourself up. Say thanks to those who have helped you on your way and reciprocate that help. You may know of a new business owner who is struggling with their start up and needs some advice, just like you once did. Make time for others, apply customer loyalty discounts where you can, and use your social media pages to voice your appreciation. 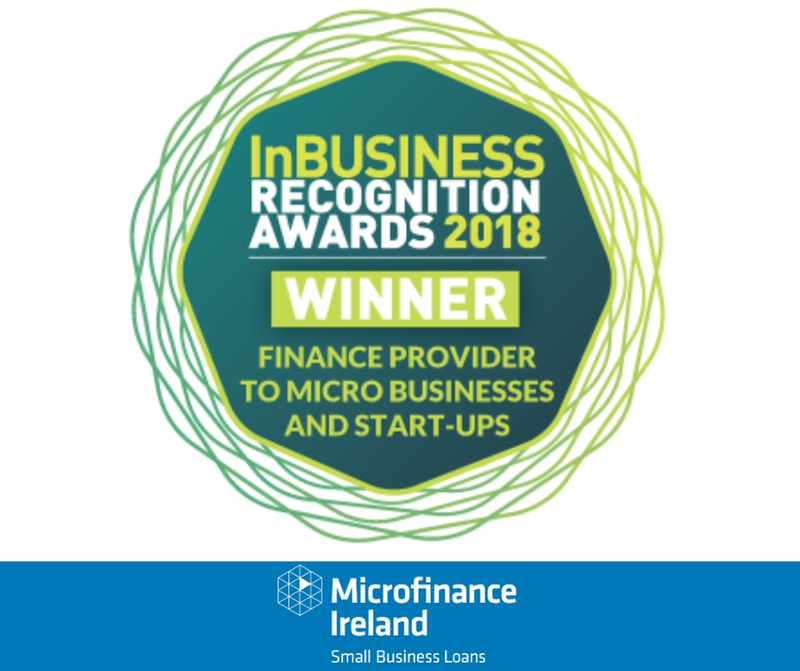 Register On-line to speak to a business advisor about receiving a Microfinance Ireland Loan of up to €25,000 for your business. Microfinance Ireland aims to provide information and support tools to help your business be successful.